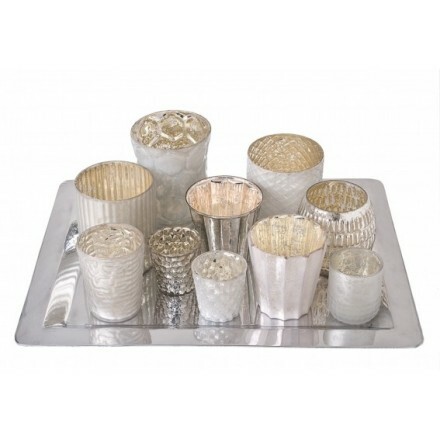 Eclectic tray of 10 various sized antique effect milky coloured votives with various textures, on a silver coloured tray. 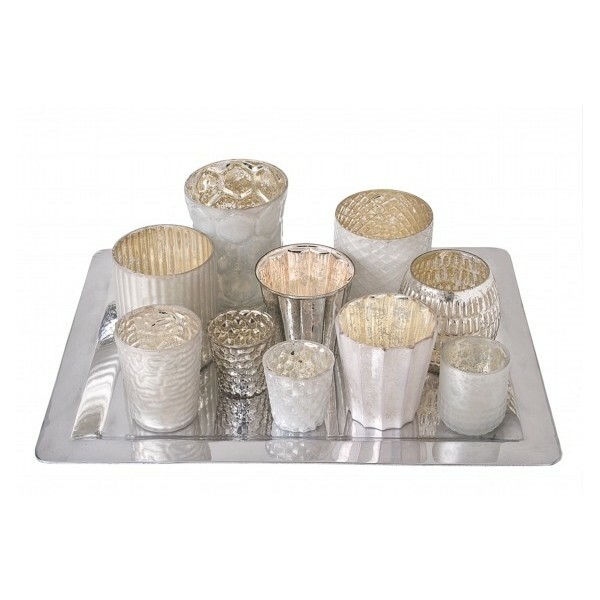 Selection of 10 unique glass tea light / candle holders with silver coloured tray. Antique aged effect exteriors and interiors range from milky to metallic, textured to dippled some are styled and some moulded. Sit beautifully on a plain reflective silver tray with protective feet. Can be used individually or collectively for a dramatic effect. (Length of tray: 44.5cm Width of tray: 34cm Max height of largest votive is 17cm).